Preparing Homemade Potato Gnocchi is so rewarding! Besides, it’s not rocket science to prepare these pasta dumplings from scratch and they taste way better then the store bought Gnocchi. Gnocchis are Italian pasta dumplings which originated in the North of Italy. Potato Gnocchis are the most well known Gnocchi variation out there. Most of the time when people talk about Gnocchi, they mean potato gnocchi. Most of the potato gnocchi dough is made out of mashed potato. The other ingredients include flour, salt, and egg. 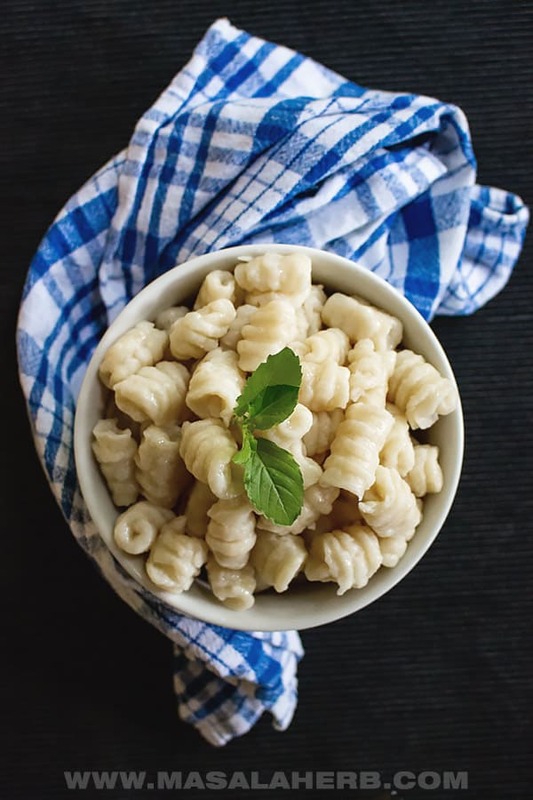 Potato gnocchi are also a local dish in neighboring Austria, Croatia and even Bavaria (Germany) where they are known as Nockerl or Nocken or in Croatia as Njoki. 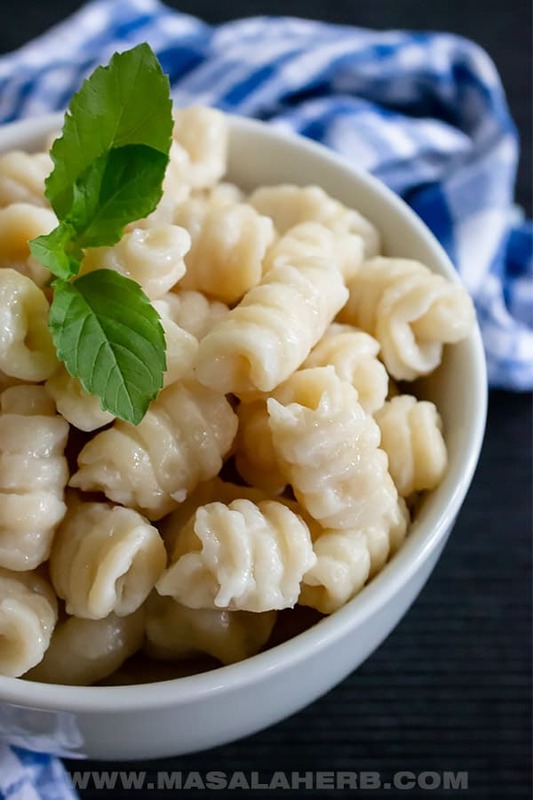 Gnocchi from the north of Italy resemble the elongated Potato Noodles (aka Schupfnudeln) from the German-speaking countries. Besides that, Flour Gnocchis are related to Spaetzle noodles and bread Gnoochi (Gnocchi di Pane) are related to Tyrolean Semmelknödel. 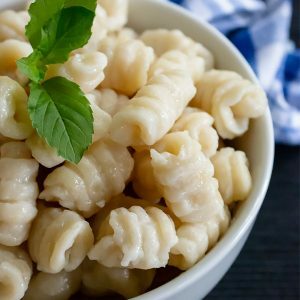 How to make Potato Gnocchi? To make homemade Potato Gnocchi you need boiled Potatoes turned into a simple mash, flour, salt and an egg. That’s it! 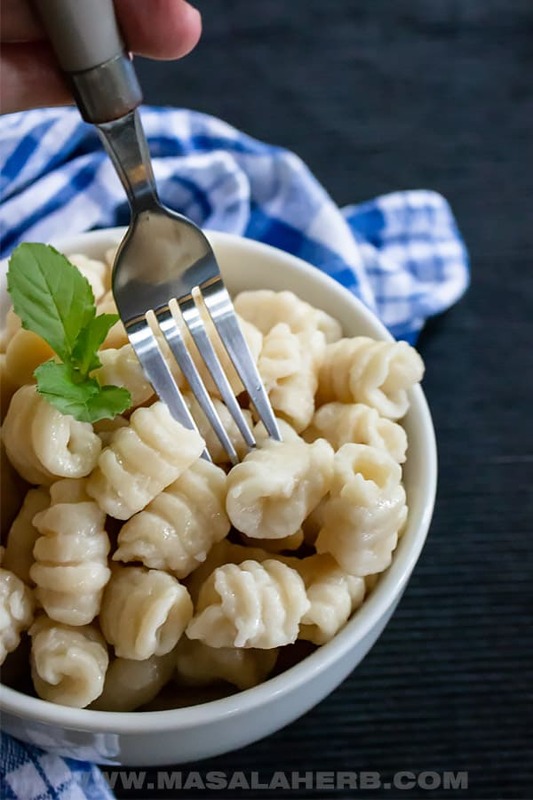 Making Potato Gnocchi with potato dough is really easy and if you try it first, you will realize that the homemade gnocchi tastes way better then the store bought gnocchi. Plain “Pillow” shaped Gnocchi – Easiest way to shape Gnocchi by just cutting a sausage-shaped dough into equal pieces. Pressed with Fork Gnocchi – If you want your Gnocchi a bit flattened and with a slight fork “design”. Medium easy. I personally prefer the rolled over fork gnocchi because I prepare a cheese sauce (recipe coming soon) and the sauce tends to go between the fork rills of the gnocchi. For some reason that tastes better because I guess the sauce is better distributed that way. 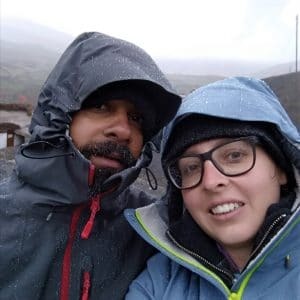 My Indian husband taught me the rolled over fork Gnocchi version because he used to work for an Italian themed restaurant in Kassol in the Himalayas. This was the exact way they would shape the Gnocchi by rolling the dough over the back of the fork. His trick is to oil your fork so that the dough rolls over easily. That way they would prepare huge amounts of Gnocchi daily. When I am in a hurry I make the simple pillow shaped gnocchi. I used to work in a Gelateria in Austria run by an Italian and my boss would prepare fresh Gnocchi at times for lunch. He would shape them the simple way too because, well, he has a business to run too! The Fork pressed version is common in Austria for some reason. In Italy, they also have a board with rills to make the rilled design for the Gnocchi. It’s called a Gnocchi stripper and it’s made of Birchwood. Once the Gnocchi are shaped, keep a large pot to boil with salt water. When the water is boiling, simply add the Gnocchi one by one to the pot. Don’t overcrowd. Just wait for the Gnocchi to swim to the surface and then simply take out your Gnocchi. That’s about it! 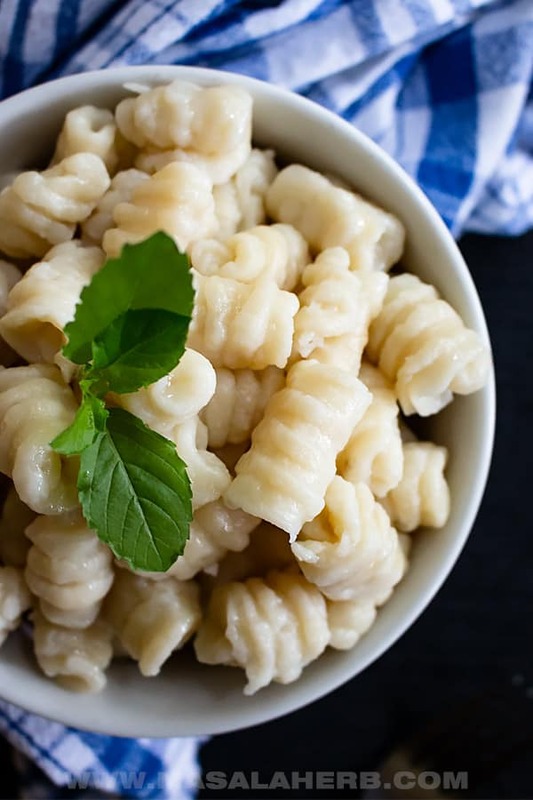 You can then simply add the Gnocchi to a frying pan with butter and parmesan, or you toss them through a cheese sauce or another option is to let the Gnocchi cool and to freeze them. That way you have Gnocchi which just need to be defrosted to be enjoyed in a meal. Potato Gnocchi are prepared with mashed potato, flour salt, and an egg. A dough is formed and then further cut or shaped into Gnocchi dumplings. I give you 3 options to shape your Gnocchi (see video and post). Water is boiled and the gnocchi are cooked in the boiling salt water until they swim on top. Peel your Potatoes and boil them. Once boiled mash your potatoes well. Add salt and the egg to the Potato Mash. Mix the content well. Add in the flour a bit at a time and mix it in as well until you have used up all the flour. Work out dough to create a smooth dough. Dust your working space with flour and cut your dough into 4. Use one piece at a time. Roll out to create the two first shape option. Shape into Pillows or press down with a fork or pick from your dough for the third option, and press the dough on the fork to roll a gnocchi shape (see video). Keep water to boil with salt. Once the water boils, drop your gnocchi into the boiling water. Fill up but don’t overcrowd. So you will need to work in batches to cook all the gnocchi. Wait until the Gnocchis are cooked. They will swim on the surface when ready. The cooking takes about 5 mins. Keep a colander in a larger bowl and take out the gnocchi and place them into the colander. Then you can use the gnocchi in a dish or soup or simply place into a skillet with butter and parmesan. Dear Reader, where did you try your first Potato Gnocchis? These sound absolutely delicious! I didn’t realize how easy gnocchi was to make. I’ve got to try it soon! Love the little history lesson on where they came from and the different ways to roll them. Thanks for the inspiration! Such simple ingredients that yield a special dish. Thank you for the video tutorial…very helpful. 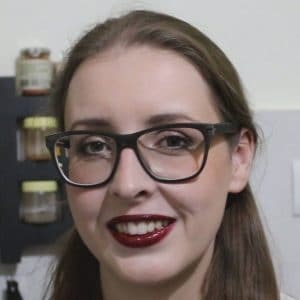 Hi, this may be interesting you: Homemade Potato Gnocchi Recipe [How to Video]!